It’s been a long Fantasy Premier League Break, but there’s not much longer left to prepare. The community have the Gameweek 28 tips covered. Aguero leads the form chart in the Gameweek 28 tips, but its West Ham striker, Chicharito, who steals all of the headlines for Daily Strikers. Many will be looking for inspiration elsewhere in Coach’s top 12, as that’s where the favourable fixtures lie. The regular article was released today, helping you navigate in players’ form. @FPLCoach investigated 12 players in the best form. Talking of fixtures, it’s time to look at the wider schedule, with expert Ben Crellin. Given the number of games which need to be postponed, it’s an important time to plan ahead and use those chips effectively. It’s blank gameweek 31 which is first on the agenda, where between four and five fixtures are going ahead. Let’s talk FPL discusses potential transfers to be made between now and then to field close to a full side for that weekend. GW31 – 12-16 point hit for ALL the blank players 😀 – Wilson, Walcott/Siggy, Shaqiri, defenders galore. The chips will prove important to get through this tricky period, but how can we maximise their potential? El Statto shares his plan to maximise FPL points gained from all of the blank and double gameweeks. An extended break is always a favourable time to play your wildcard. Many of the community have had theirs active over the break. FPL Enthusiast shares the latest draft for our Gameweek 28 tips. Liverpool and Leicester assets are well fancied for this period. 8 BGWs currently and will probably be left with 2 FTs come GW31 so could potentially end up with 10. As managers scramble to bring in more Liverpool coverage and Vahrez, squad make up has to be altered. A possible strategy considered by the community is offloading an in form Aguero to free up funds and a forward slot. Pundits put this week’s key question to a poll. What’s the plan ahead of Gameweek 28? It’s certainly felt that owning Kane, plus one of Vardy or Firmino is the way to go over the next few weeks. FPL Fly has half an eye on the Blank Gameweek with this Gameweek 28 tip for transfers. The wide range of strategies for now until the end of the season is talked about at length on the latest Who Got The Assist? podcast. There’s also of plenty Gameweek 28 tips to help with your short term preparation. It’s essential listening. In the latest edition of the FPL Family vlog, there’s plenty of Gameweek 28 tips to help you prepare. The Jammy Picks are always worth viewing and some helpful advice about how to set up your squad for the long term. 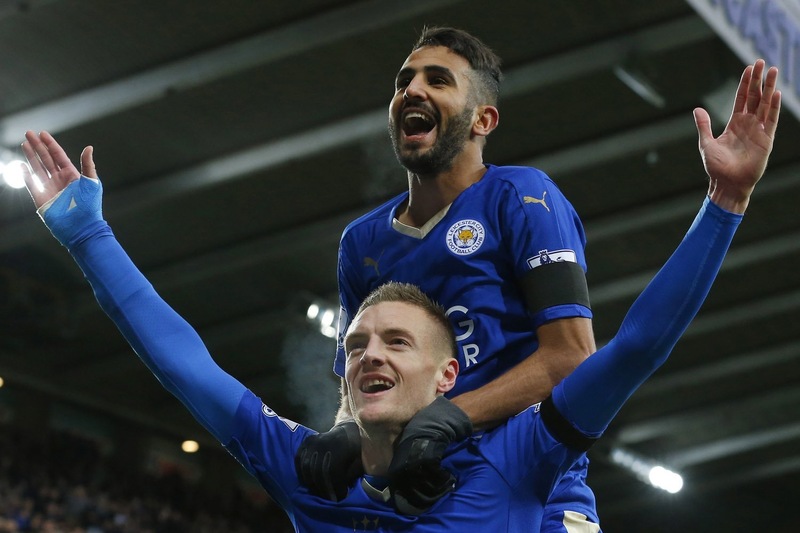 Jack Woodfield returns with yet another great preview for the FPL Bet site. Whatever your shopping for will be covered here, with a selection of essential and differential picks. If you’ve ground to make up in mini leagues, now is the time to take some risks. Gameweek 28 Preview is Live! Talking of differentials, the General has five of these to choose from for his latest Sportito blog involvement. Four of these also have a fixture in Blank Gameweek 31, so are well worth considering. It’s a confusing time for FPL managers and there’s plenty of questions to be answered. Simon is to the rescue, replying to all of your community twitter questions about the upcoming schedule. There was worrying news for Pope owners earlier in the week, when it was revealed that Heaton is back in training. It looks like Pope will be between the sticks for at least the next couple of weeks though, according to injury analyst Ben Dinnery. On the topic of defence, Liverpool defenders are high on the Blank Gameweek 31 shopping list with a number of options available from Klopp’s back line. Yahoo look to make sense of the decision with some helpful statistics. One of the new FPL accounts on Twitter, studies the habits of referees to predict the outcomes of games. It won’t be a coincidence when some of these prevail over the weekend. 🛡️Clean Sheets? #BURSOU and #LIVWHM (both home). James Egersdorff, the FPL expert, is back with a new video preview for Gameweek 28. Kanexit 2.0 prevailed, there’s now Aguero and Alonso on the chopping block for our teams. Check out his advice. 🤷🏻‍♂️ Keeping Aguero & Alonso? The latest team of the week is here for Fantasy PL. Liverpool, Spurs and Leicester assets prevail with Aguero out of sight. Kane takes the armband, will you captain him this week also? If you’re still struggling with the captain decision, then the latest article from Fantasy Football 247 is well worth a look. The big names are all there, along with some potential captain differentials. If you’ve ground to make up, then it’s something to consider. On the topic of captains, there’s advice that divides opinion from the community this week and it’s all compiled in the latest site post, so be sure to check it out here. Next Blank Gameweek 31: Reverse Psychology?